Jay K. Binderim was born in 1983. 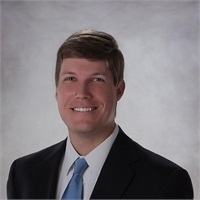 Mr. Binderim graduated from Centenary College of Louisiana in 2005, with a Bachelor of Science degree in Business Administration and Finance and from Louisiana State University in Shreveport in 2007, with a Masters in Business. Mr. Binderim joined Adkins Seale Capital Management LLC in September 2017 as an investment advisor representative. From September 2012 to August 2017, Mr. Binderim was a portfolio manager at Regions Bank. From 2006-2012, he served in various roles as a credit analyst for Ouachita Independent Bank and a volume control analyst at Centerpoint Energy Field Services. Mr. Binderim has been a CFA Charterholder since 2014 and is a member of the CFA Institute. Jay is married and has three children. He and his wife reside in Bossier City, LA. He enjoys spending time with family and an occasional round of golf.